Members of the Zieggy Tribe are finding themselves in the spotlight with a lot of attention on the hiring practices at The Ziegenfelder Company. This comes after the company’s participation in the 2017 West Virginia Opioid Seminar. 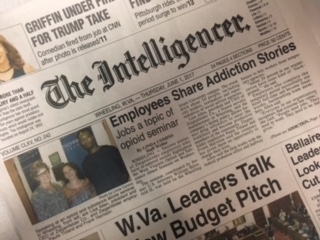 At the May conference about the opioid crisis in West Virginia, CEO Lisa Allen explained that every person finds a fresh start at The Ziegenfelder Company. That simple concept results in employment for all types of people from all walks of life within the plants at Wheeling, Chino, and Denver. Media outlets are starting to reach out to The Ziegenfelder Company in greater numbers than they have in the past. Some of those reporters are producing stories that focus on hiring those who may have a “past.” They’re citing unconfirmed employment numbers that suggest possibly 20 percent of the Zieggy workforce could be labeled by that word. But by only focusing on that one part of our Zieggy Tribe, we risk ignoring a key message. When ANY person is hired here at The Ziegenfelder Company, their past does not exist. Only what an employee does from their starting date and beyond matters. This type of compassion allows ALL types of people to have a chance, not only the ones who have a criminal record or history of battling some type of addiction. We believe we are getting heightened notice by those outside of The Ziegenfelder Company because of EACH person working here. The Ziegenfelder Company celebrates all 100 percent of our employees who are put into just one category when they walk in the door. They are members of our Zieggy Tribe. It’s a family that shares the same goal: making people smile with really cool treats. 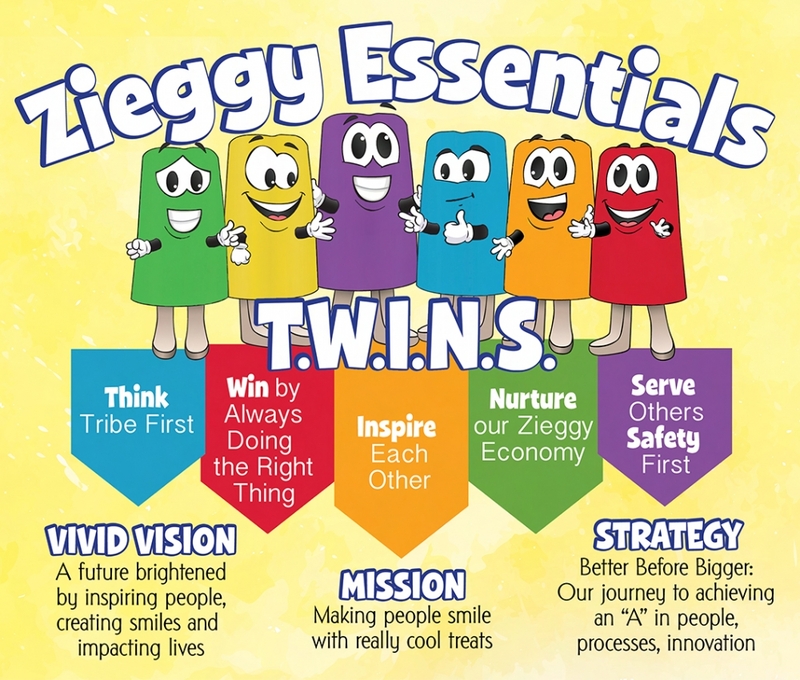 Anyone dedicated to living the Zieggy Essentials are welcome to join our family. All you have to do is pledge to keep the TWINS principles in mind at all time. THINK tribe first! WIN by always doing the right thing! INSPIRE each other! NURTURE our Zieggy Economy! SERVE others putting SAFETY first!